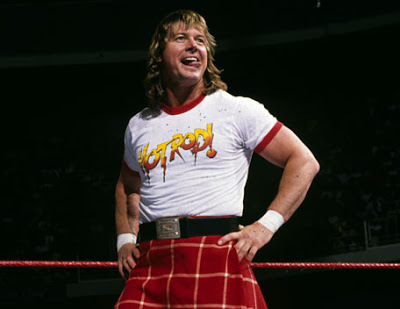 Wrestling legend "Rowdy" Roddy Piper has died at the age of 61. Piper, born Roderick George Toombs, died from cardiac arrest in his sleep at his home in Hollywood on Thursday night but was discovered on Friday. Piper had been diagnosed with Hodgkins Lymphoma in 2006 but last November he said he was cancer free. Piper was a wrestling icon one of the biggest stars in the WWE back in the '80s, and even wrestled in "Wrestlemania I" back in 1985, squaring off against Hulk Hogan and Mr. T.
Roddy was admitted into the WWE Hall of Fame back in 2005 and was one of the top 50 villains in the history of the WWE. Piper had a long relationship with WWE -- last wrestling back in 2008 ... but appeared on various WWE shows up until 2014. Roddy is survived by his wife Kitty and their 4 kids -- including 3 daughters and son Colton who's pursuing a career in professional wrestling.